Most Americans tend to think that acupuncture is Chinese medicine. However, Chinese medicine is actually herbal medicine and is the oldest, continuous medical treatment for one quarter of the world! 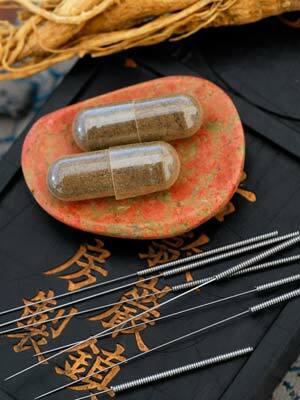 Chinese herbal medicine has been developed for over 4,000 years. Over 2,000 years ago Chinese medical textbooks were written and a systematized medical education was in place. It is the oldest organized, systematic medicine in the world. This means hundreds of decades of continuous study, classification, development of repeatable, reliable systematic observation and understanding of medicinal plant, mineral, and animal substances. This is evidence based medicine. The medicine is made by combining various parts of plants and minerals (I don’t use animals) into a formula to be administered internally or externally. It is a sophisticated medicine, typically combining anywhere from 5 to 25 medicinal ingredients in a single formula, the components chosen to work in specific and synergistic ways on the organs and energy systems in the body. I have been creating custom formulas, case by case, for my patients for more than twenty years. For example, there may be six different people coming for help for headaches, and that may mean they each need a different formula, unique to their own type of headache from a Chinese Medical diagnostic perspective. This is very effective medicine, and yet, it is very affordable medicine. There are countless books of formulas in Chinese medicine and various schools of thought on treatment via Chinese medicine. A growing number of biochemical studies on Chinese medicine are being performed and, some day, the American medical perspective may be satisfied in explaining – in its terms – how Chinese medicine works. But from a Chinese medicine perspective, we know exactly how and why this medicine works and has worked for thousands of years, treating health problems from epidemics to strep throat, diseases and common colds to arthritis and more. For help via natural medicine, please call Beth Bright at 303 445-1114.